A list of men serving in the Great War. During the Great War -1914 to 1918 - there were many entries in the Parish Magazines with lists of the casualties and men who were serving in the armed forces. 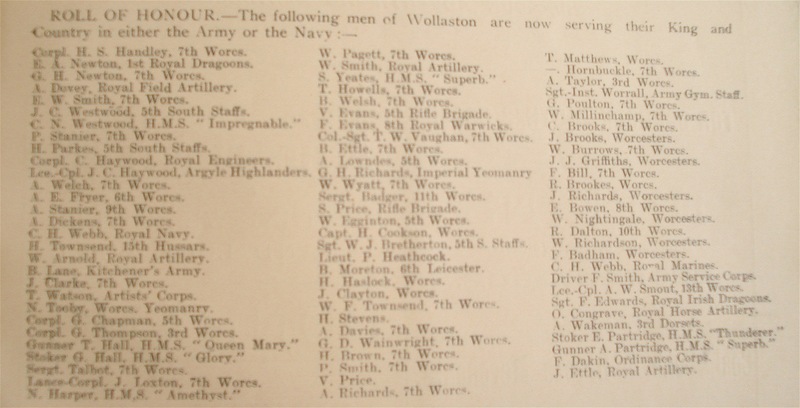 This lists the names, rank and units in which many young men from Wollaston served. 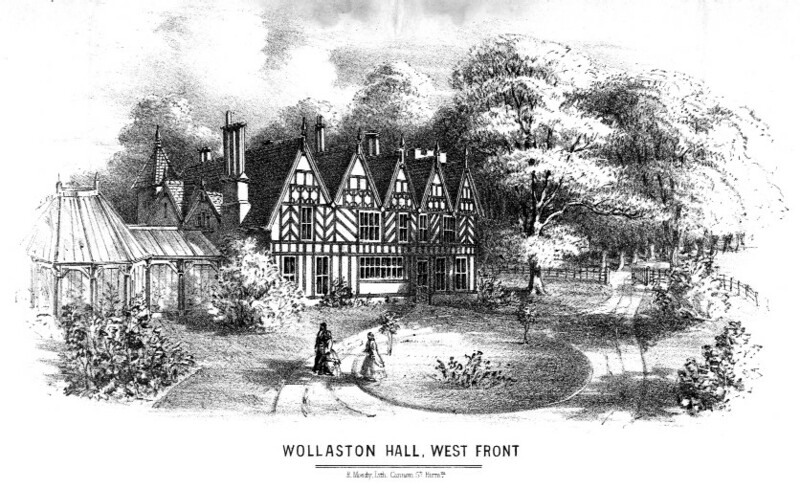 supplied by: Parish Magazines held at Dudley Archives.